2015-03-15 Dorine Laheij was one of the finalists in the Design for Additive Manufacturing Challenge 2015. 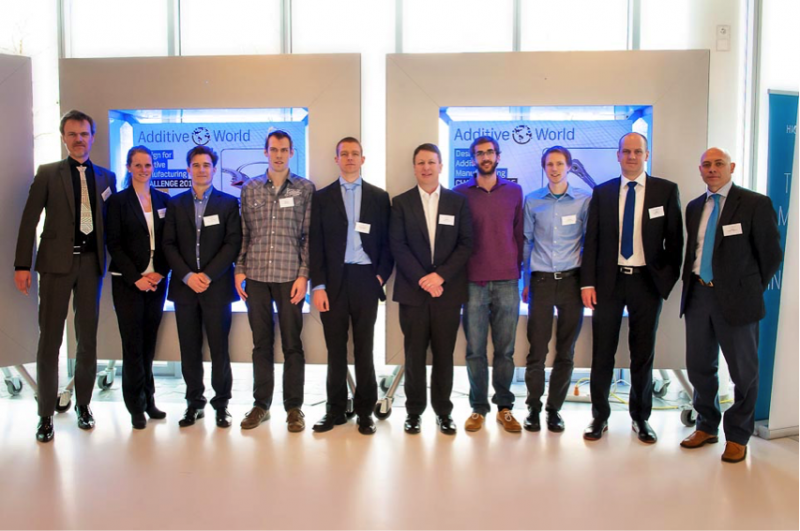 On Wednesday 4 March 2015 Prof. Brent Stucker, Chairman of the Jury, announced the winners of the Additive World Design for Additive Manufacturing Challenge 2015. From a group of 34 contestants, both professionals and students, 3 finalists were selected per category. Dorine Laheij was one of the finalists in her category. After the presentation of all finalists to the Jury, two winners were selected. The assignment was to redesign an existing product for additive manufacturing. The winners took home the latest Ultimaker 3D printer, a free licence of Altair’s design optimization software and a 3D metal printed Additive World Award by AddLab. 2015.01.27 Dorine´s contribution to the challenge.